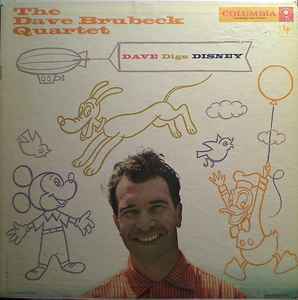 As much as I ‘dig’ Dave Brubeck, I’ve been scratching my head over this one for nearly 60 years now, wondering what in the world Dave was thinking, if he was thinking at all, or was even aware of who Walt Disney was. Brubeck was a jazzman, and hopefully had a jazzman’s heart, along with a jazzman’s and artist’s sensibilities, those being to buck the system, to question authority, to have an innate ability to see a larger picture. In this case, Walt Disney was both racist and anti-Semitic (and I believe that Mr. Brubeck was a Jew). In the 1930’s, Walt Disney attended pro Nazi organizations, including the German American Bund. And if that weren’t enough, he hosted Nazi propagandist and filmmaker Leni Riefenstahl, giving her a personal guided tour of Disney Studios. He then enthusiastically testified before the House UnAmerican Activities Committee, claiming communist plots were taking over Hollywood, turning in many of his friends, while supporting the Black-List, which drove many to the brink of starvation. Let’s just say he wasn’t a nice man, with a ferocious temper, especially to anyone left-wing. So while jazz inherently reacts to itself, Brubeck is reacting to the music of Disney here, where rather than an exchange of player to player, band to audience, and audience to band, Dave has forgone that system of artistic checks and balances, choosing to re-interrupt or revision established musical pieces. Now, the backstory goes that Brubeck was walking through Disneyland with his kids back in 1957, thinking that the place was wild. As always, Dave turns a couple of tables, with the numbers rising and falling with the emotion and movement of a day spent in Disneyland; though this is certainly though the eyes of an adult, and not a child. Of course listeners will instantly recognize the basic structures as nostalgic songs gives way to the audible discovery of something new inside of all that was familiar. All and all, the collection of tunes is brilliantly controlled at a hurried pace, belaying a sense of pure enjoyment and peace within the improvisation, reflecting visitors to the park running from one event to another, refusing to light, unable to keep pace with their own imagination. Time signatures are played and displayed counter to one another that should not, psychologically speaking, create enjoyable rhythms. Yet they do, where these unexpected rhythms turn magically on themselves and then to unexpected results. So when we find ourselves surprised at being alongside of musical aspects (or things at the park) that may have been there all along, where we just didn’t notice them right off, or do in the midst of a sensory overload, it simply doesn’t matter on the first listen, the music has been designed like that theme park, far too much to take in on a single breath. To me, Dave Digs Disney can not be viewed simply in the context of the music, as the name Disney is the personification of who Walt Disney was, and I can not hear these songs without them being tainted with brushstrokes of that reality, those being that for all the joy Disney set about to bring into this world, he was a horrid little exploitive man. Dave Digs Disney, for all I’ve said, is in many ways subversive, a statement of anti-jazz. Of course I could just as easily say that this isn’t just an album of Disney covers, it’s a Dave Brubeck album of Disney covers, where if anyone can transform Disney schmaltz into life-breathing catchy straight ahead jazz music, it’s Dave. And while Brubeck succeeds on many levels, he falls short on many here as well. The music sounds entirely too crafted, where the songs come off as originals and not as something beholden to established visions and memories, possessing all of the elements necessary to place this record firmly in the class of a novelty album. That being said, this is Dave’s second most popular album, bested only by Time Out. It staggers me to be able to say that this album is a pleasurable eclectic blend of sounds and styles, with playing that is gracious and tight, laced with technical skill and forethought, and in that same breath, be emotionally unhappy with the record, due entirely to it being overshadowed by Walt Disney's personality. Whatever the answer to the above question is, for a number of personal reasons, I’m gonna let this album lay, refusing to be drawn into this world until I can sort it all out.